North Berwick is a cute little coastal town about 45 minutes out of Edinburgh. We came here to do a Treasure Trail and had a lovely day. 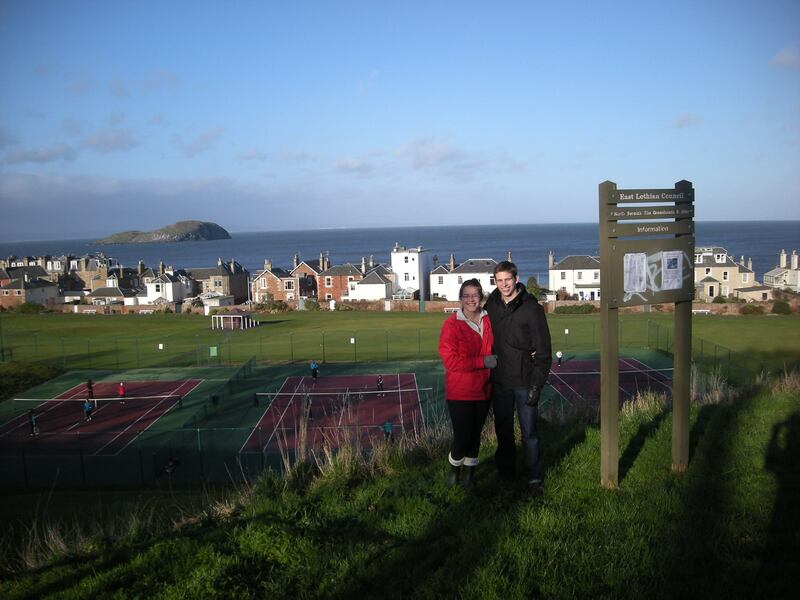 The one for North Berwick is a Murder Mystery Trail with a very confusing first couple of clues. The weather held out for us, though we had difficulty following directions. I am famous in Scotland for not being the best (a.k.a. being the worst) person to have the directions. A few summers ago, driving around Bergerac in France, we made a 2 hour trip out of a 30 minute drive…oops! So, needless to say, I couldn’t keep it together. You know when you print off a couple pages, but select the ‘booklet’ option to save paper? And then, you know how you lose track of which pages are in which order? And then proceed to skip whole pages of clues on the trail, leaving us unable to decipher the next clue? Well…I do. Even so, it was a day to remember. We stopped in the Sea Bird Sanctuary Cafe and got cups of tea and coffee. Lovely little town! This entry was posted in Adventures and tagged adventure, following directions, Murder Mystery, North Berwick, Treasure Trail. Bookmark the permalink.